V-LUX and Russian largest cable TV holding “ER-Telecom” are connected by many years of fruitful cooperation. Recently V-LUX has supplied to Er-Telecom thousands of optical receivers, dozens of transmitters and fiber-optic communication line amplifiers, thousands of kilometers of different types of cable for cable TV networks, head-ends for the operators of the holding, dozens of thousands of passive elements of hybrid cable TV networks. 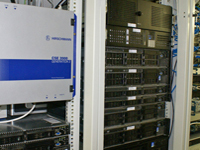 Just in 2011 V-LUX supplied to ER-Telecom 10000 of Standartelecom optical receivers. 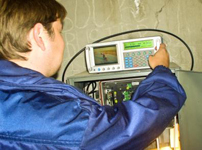 In 2011 V-LUX engineered and supplied the equipment for expansion of the digital TV platform. Viewers in Perm, Samara, Tyumen, and Chelyabinsk got an option of watching 53 additional channels. Content distribution to the cities is realized via digital optical lines. In the cities the channel streams are multiplexed, are subject to scrambling, modulation and insertion of PSI/SI information. General number of the services transmitted via optical trunk will amount to 120-130 channels.